In an industry worth over £5bn in 2016; the TV marketplace is one of the strongest advertising platforms in the UK. However, major market factors have the potential to impact the structure of the marketplace over the upcoming 12 to 24 months. 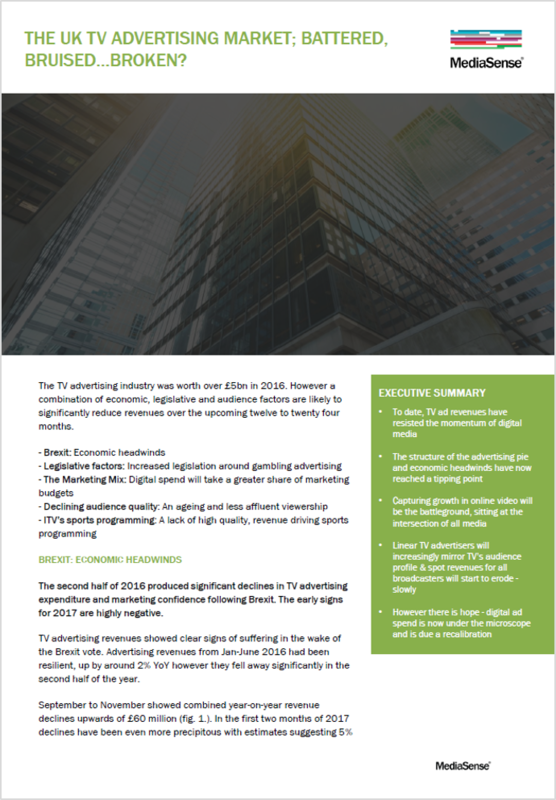 The potential repercussions of this assessment are significant not just for advertisers, agencies and media owners but also for the thousands of individuals employed within the UK industry.